It was at the Moonwalker Club in Aarburg, Switzerland, where the Paris Reunion Band was recording the Sonet album "We Remember Klook", that Claus Reichstaller and Kirk Lightsey decided that it would be fun to make a record together. That was a little matter of eleven years ago. Now, at long last, the idea has come to fruition and the CD is done. In my submission, the album - the first under Claus´s name - proves to have been well worth waiting for. Says Claus: "The atmosphere of the session was really wonderful. For me it was a dream come true." 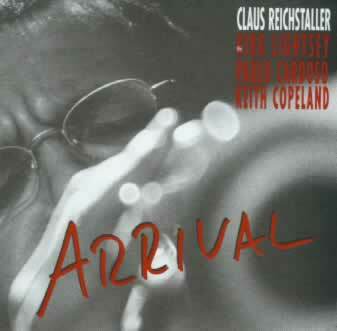 After the session Keith Copeland told Claus: "This is one of the best records I ever made." placed in the PRB - Woody Shaw. I enjoyed the session tremendously and I am so happy we finally got the recording together."